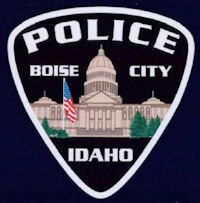 This fall, the Boise Idaho Police Department was awarded the 2013 International Association of Chiefs of Police and Cisco Community Police Award for cities with a population of 100,001 to 250,000 residents. The Boise Police Department earned the distinction, in part, because of the work of its Organized Retail Crime Interdiction Team. Formed by BPD in 2005, the team has helped reduce retail loss to fraud and theft by 41 percent in Boise compared to national rates. Through strategic partnerships with retailers such as Albertsons, Fred Meyer, Home Depot, Walmart and many others, the department team was able to implement a sophisticated prevention solution that is now being held up by other law enforcement agencies as a national model for successful community policing practices. BPD was honored at the IACP’s Annual Conference in Philadelphia on October 20. To read the full IACP press release, click here. Congratulations to everyone involved in this successful initiative. It's partnerships like yours that show the great results that can come when Loss Prevention collaborates with Law Enforcement, working together to achieve one common goal.